What Does Your Organization Do After 911 is Called? 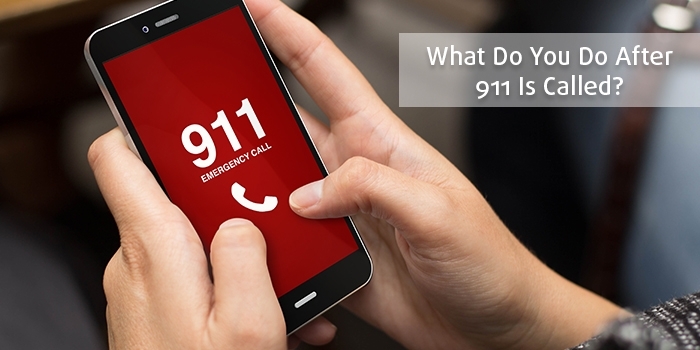 One of the earliest lessons everyone learns is that when an emergency occurs, you should call 911, but what does your organization do after 911 is called? This can be a challenging question to answer as it will likely depend on the situation. However, there a few basic actions every organization should take after emergency services have been called. When people enter an organization’s facilities, the people of that organization have an obligation to keep them safe, known as their duty of care. This is the reasonable expectation visitors have to enter a safe environment. That means an organization must have plans to respond to emergency situations quickly and effectively. In this blog post, we’ll outline those actions and offer ideas on how to leverage emergency notification systems to help facilitate an efficient response. One of the most significant obstacles for an organization is knowing when 911 is called. Many organizations use Call Detail Records to alert them when 911 is called, but the issue is that those systems only send an alert when the call is completed. This can have a detrimental impact on the response time. With an emergency notification system, organizations can tie into their phone systems to receive an alert whenever 911 or another emergency number is dialed. These alerts can be sent to security personnel and high-level administrators who can organize a response, or to an organization's entire population if the situation requires an evacuation. Certain systems will also provide details about which phone called 911, helping to determine the location of the call. Once the right people are aware an emergency situation is happening, it’s time to gather a response team. For organizations that have people spread over a wide area, a conference call can sometimes be the best option to check in and begin executing a response plan. Using an emergency notification system that automatically launches a conference call with the notification broadcast helps gather people quickly. This means an organization can coordinate and deploy a response to the emergency and be fully informed to assist emergency personnel when they arrive. InformaCast CallAware can integrate with Cisco Webex Teams to quickly bring people together when 911 is called. When an emergency number is dialed, CallAware sends an alert and begins recording a call. An alert is sent, and a Webex team space is created with details from the call. When the call is completed, a recording will be uploaded to the Webex Team space. When the incident concludes, it’s always important to look at how your organization responded. Using an emergency notification system that not only sends alerts when 911 is called but can also record the call, provides valuable insights when an incident concludes. Administrators can listen to the call and put it in context with the rest of the response. Then your team can discuss what went well with your response and what can be improved. Organizations utilizing Cisco phones can take advantage of these capabilities by using InformaCast CallAware, which can send alerts, gather people and record when 911 is called from within an organization. Remember that knowing what to do when an emergency occurs is important, but being able to respond after an emergency takes place can be even more critical to keeping people safe.